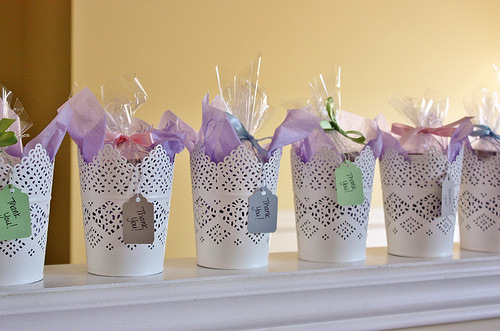 Choosing a gift for your attendants to show your appreciation of them is one of the many things you will do in the days before your wedding. The type of gift you choose is your own personal decision. Some brides choose bridesmaid jewelry sets for their attendants. This is a thoughtful idea and gives them something to wear after your ceremony. You can give them this thank you gift before your wedding so they can wear it during the ceremony if you choose. 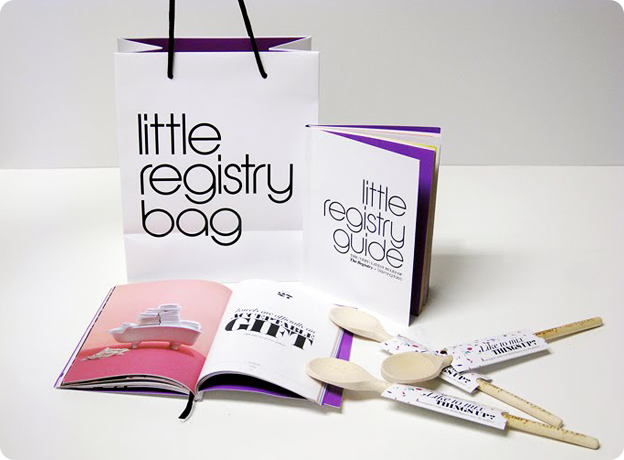 Many bridal shops and other retail stores that carry jewelry will have sets for your bridal party as do many online locations that include eBay, 2 Be Unique, Light in the Box, and many more. This lovely pearl set includes a necklace, bracelet, and earrings. Crystal fireballs and pearls add sparkle will make your attendants feel as special as they look. The pearls alternate with the crystals in beautiful design. You can order the set in either silver and white or silver and ivory. The beautiful three piece set is available on eBay. 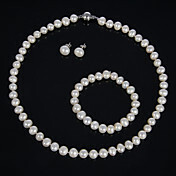 An elegant pearl set that includes a necklace, bracelet, and post earrings is an idea gift for your attendants. They will love this classic set and will think of you each time they wear it. The earrings are for pierced ears. The set is made with natural pearls so shapes of each stone may vary slightly. You can find the set on the Light in the Box web site. Stunning Austrian crystal set on balls is a unique gift or your attendants. The necklace features a sparkling ball on a delicate chain. The pierced earrings have a matching ball that glitters on the ear lobe. You can choose silver or gold plating for the lovely sets. The set adds an elegant finishing touch for your bridal party. This set is available on the 2-Be-Unique web site. 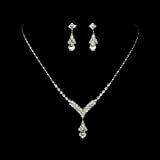 The crystal rhinestone jewelry set features a sparkling V Teardrop center. The set comes in silver with clear rhinestones that glitter with the light. The pierced earrings have a post that dangles a crystal ball matching the necklace. The necklace looks lovely with any strapless gown. 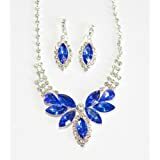 You can find this darling crystal rhinestone set on Amazon. This set features brilliant blue crystals and crystal rhinestones that form a lovely butterfly drop on the channel set crystal chain. The pierced post earrings feature channel set crystals surrounding the blue crystals that dangle. The necklace can be worn as a choker or with the attached extension. The set is an ideal choice as an accent for a brilliant blue gown. The lovely blue butterfly set is available on Amazon. The classic wave pattern of this chain gives the necklace a modern look. The stylish necklace has a large, drop shaped crystal pendant with sets of crystals along the chain. The pierced earrings feature a matching drop shaped crystal that dangles delicately from the ear. The beautiful crystals in the set are Austrian crystals. This charming set will look lovely on your attendants and you will find it on the 2-Be-Unique web site. 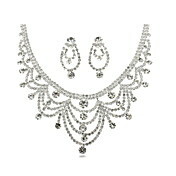 The Light in the Box web site carries this stunning elegant necklace and earring set for bridesmaids. The tiered necklace features five rhinestones in the center. The alloy platinum is plated with rhinestones for that sparkle in the light. The pierced earrings have a post design with delicate strands that match the necklace and dangle from the ears. This set will add elegance to any gown. This set of rhinestone and white pearls features a gorgeous necklace with small rhinestones and dangling pearls. The necklace can be worn with an extension. The earrings feature the white pearls dangling from a string of small stones. The two piece set looks beautiful with any neckline and will add a hint of glamor with its simple beauty. The stunning set is available on the 2-Be-Unique web site. The Czech rhinestone set features is alloy plated and features rhinestones and imitation pearls. 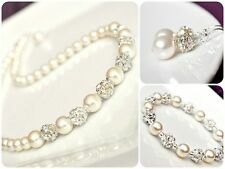 The lovely set has small rhinestones surrounding the imitation pearls creating dainty flowers. 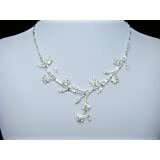 The necklace is a double row of the lovely flower shaped stones. The matching pierced earrings feature three flowers that dangle from the ears. 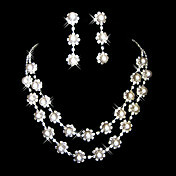 This sparkling bridesmaid jewelry set is available on the Light in the Box web site. The gold plated necklace of this crystal flower leaf set features delicate clear rhinestone flowers and leaves with a center drop. The necklace includes an extender making the chain adjustable for the ideal length for the neckline of any gown. The pierced earrings feature a matching flower and leaf pattern that dangles from the ear. This stunning set is available on Amazon.